If you’re familiar with Visual Composer, you may have witnessed a few big changes going on. First, we changed the name of our Visual Composer Page Builder to WP Bakery. Then we launched a new product that’s called Visual Composer Website Builder. Is the Visual Composer Website Builder the same as the old Visual Composer? Is it a 2.0? Is WP Bakery a new product? Is it just rebranding (cause if it is, it’s a damn poor one)? This confusion has upset many of our users, as well as our long-term partners. So we decided to write this post for two big reasons. First and foremost, we wanted to apologize for making an already messy situation worse. Ok, much worse. And, most important, we’re sorry for not explaining what caused this mess from the very beginning. Secondly, we wrote this post to finally explain what caused it from the very beginning. As you’ll see, it’s quite a brain-twisting journey that led us onto this path. Things happened gradually, and the more we tried to “fix” problems along the way, the deeper they got. You’ve probably seen that name dozens of times, on every major WP theme page. It was included as a premium plugin in many of your favorite themes. So why would we decide all of the sudden to change the name our best-known product? Short answer – we didn’t have a choice. As for the long answer, you can watch the story unfold in the video or you can read it below. It all began with our new product, the Visual Composer Website Builder. This is a different tool from the Visual Composer Page Builder and we wanted to make that crystal clear to our users (clearly, that did NOT go according to plan). The Page Builder was an Envato-exclusive product with lifetime license (like all products sold with Envato). The Website Builder, our new product, was meant to go in a different direction. We tried to move away from the lifetime license model, because our new product was more complex in features, and built for a growing part of our users whose website building needs have rapidly evolved. All this and the new React.JS technical stack meant much higher development costs that could only be sustained with a yearly license model. We also wanted to be directly in touch with our users to offer them stronger, faster support. And that “detail” was our contractual limitations with Envato. In short, we couldn’t sell another product under the name of Visual Composer outside their platform. 2. We change the name of the product we already had on Envato, Visual Composer Page Builder, so we could lift our contractual limitations. So we thought long and hard about this, and eventually decided to change the name of the Visual Composer Page Builder, the plugin we had on the marketplace, to WP Bakery. It was a tough decision, but it was the only way we could maintain the quality of our new product. At this point, we were swamped with work on our new product and overwhelmed with all the unplanned changes. The massive confusion we had created for Visual Composer users. People were not only confused about the name change from Visual Composer Page Builder to WP Bakery. But they were completely puzzled about our new product, Visual Composer Website Builder. They didn’t understand whether this was a rebranding of the old Page Builder or a totally new product. And it’s 120% our fault. That’s why we decided to walk you through the whole journey, in an effort to make things as clear as possible. What is Visual Composer Website Builder and What Does it Do? 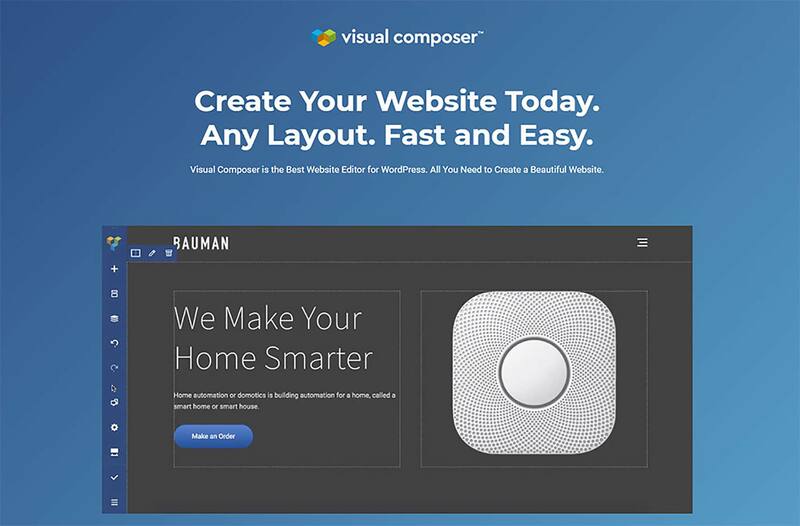 The Visual Composer Website Builder is a live-preview editor with drag-and-drop features. You have a free version and a Premium version with extra features (and more to be added next year). There are hundreds of ready-to-use content elements to choose from, so you’ve got extra freedom to implement your vision. You can play around with the drag-and-drop block and see your changes instantly (no more time wasted going back and forth). You can use Visual Composer Website Builder with any theme, which means you can integrate it into your existing themes. 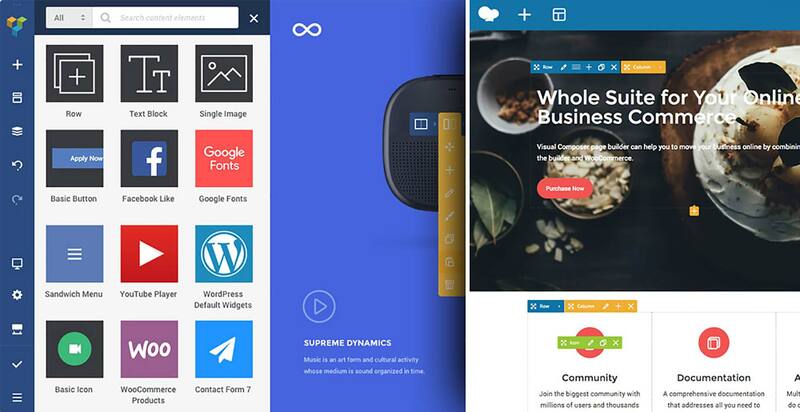 You can also choose from a handful of ready-to-use WordPress templates for different types of pages (landing pages, portfolios, corporate websites, product pages and many more). We’ve set up two types of page editing: frontend editor and tree view. If you use the tree view, you’ll be able to navigate through the elements available on a page which speeds up the process. A big plus: there’s a header, footer, and sidebar editor available in the Premium version of the product. You’ll also have access to a wide variety of add-ons (you can get them from the Visual Composer’s dedicated Hub or get them from third-party developers). So What Exactly Are the Differences Between Visual Composer Website Builder and WP Bakery? We got this question a lot lately, so I’d like to take an extra minute to explain these differences here. First of all, Visual Composer Website Builder is not the ‘premium’ version of WPBakery. It is a completely different product that incorporates the feedback we received from users in the past few years. We wanted to help them achieve more with one single product, so we created the new product as a platform that can easily be extended according to the users’ needs and desires. Visual Composer Website Builder’s code was built from zero with React.Js. It doesn’t use any of the WordPress shortcodes. This helps to achieve better performance. 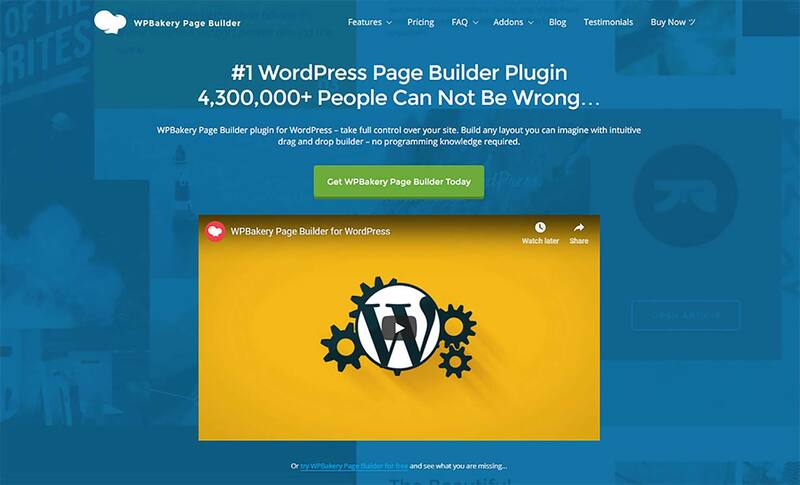 A key difference between the two products is that WP Bakery is only for the content part, while Visual Composer Website Builder allows you to build a complete website (with Headers and Footers). Another thing that sets the two apart is that WP Bakery is shortcode based, while Visual Composer Website Builder is not. it doesn’t get messy if you disable the plugin (like it happens with shortcode-based plugins). 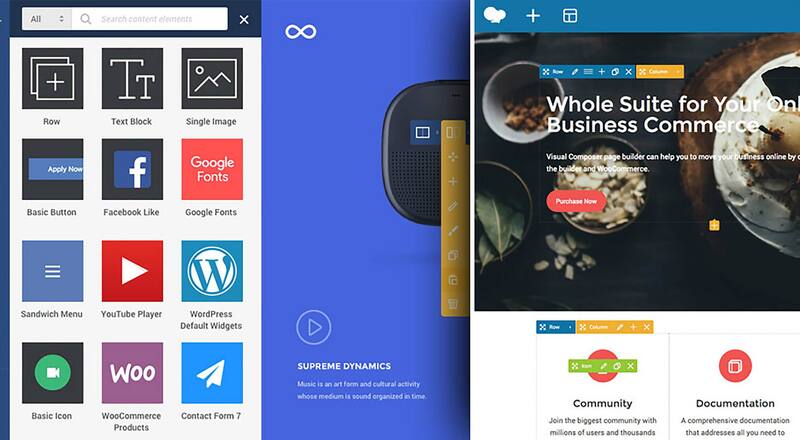 Finally, Visual Composer Website Builder comes with a cloud-based Hub. From which you can download only the elements you need. As a result, you don’t bloat your website with unwanted assets. There’s a full list of the difference between the two products that you can check right here. And if you have any questions, please leave a comment and we’ll try to clarify things for you as well as possible. Thank you for reading this – we really appreciate you taking the time to walk through this journey with us.